Nerang’s Javeenbah Theatre Company will present the world premiere performances of Age is Just a Numb3r and Strictly Amateur at the inaugural 2019 Platform Festival. Penned respectively by Gold Coast playwrights Kellie Silver and Sherree Halliwell, the one-act comedies will showcase local talent at Javeenbah’s boutique festival from 1-16 February. The Festival gives local performers a platform to showcase their gifts in a celebration of grassroots Gold Coast talent. “Over the first three weekends in February, we’re transforming our Nerang location into a bespoke festival venue,” Artistic Director Kaela Gray said. 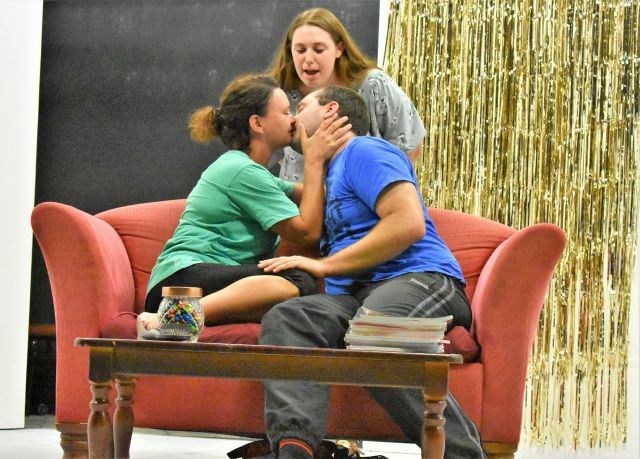 “We’re thrilled to give two local playwrights a platform to present their hilarious and brilliantly written one-act plays. “Javeenbah Theatre is a strong advocate for supporting local writers and was even recognised at the 2017 Gold Coast Theatre Awards for our commitment to the making and staging of new and original works of theatre. We’re delighted to be continuing that trend,” she said. Age is Just a Numb3r takes a swipe at the online dating scene when 40-something “cougar” Kathy Nicholls begins going out with a man 12 years younger than herself. It’s an awakening of sorts as the young-at-heart divorcee re-discovers late nights and skating rinks, re-visits 80’s fashion and ‘twerks’ her way through the housework. In Strictly Amateur the ragtag members of the Table Top Theatre Group scramble to put on a play for the local festival, attempting to overcome a host of increasingly insurmountable obstacles on the way to festival fame…or failure. Joining the one-act plays are local poets, musicians, dancers, visual artists and singers, all sharing their talent on Platform's stage. “Patrons will arrive to the sounds of local musicians and singers, performing under the stars,” Ms Gray said. “Inside the theatre, two plays will make mark their world premieres, with casts of local actors. Afterwards patrons can stroll through the pop-up art gallery, with works from members of the Royal Queensland Art Society. “The Platform Festival is a unique and inspiring event – new to Javeenbah Theatre. Audiences are in for a dynamic, engaging and truly artistic festival experience, all in one theatre. “Join us as we embrace the festival spirit this summer,” Ms Gray said. The 2019 Platform Festival is supported by Councillor Peter Young, Division 5 City of Gold Coast. Book online at javeenbah.org.au/ or (07) 5596 0300.